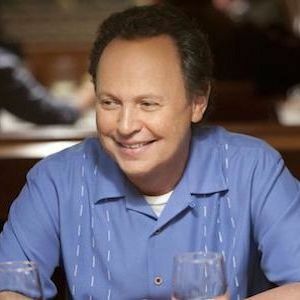 FX has ordered 13 episodes of the comedy series The Comedians, starring Billy Crystal and Josh Gad. In The Comedians, Crystal plays a superstar veteran comedian who is reluctantly paired with Gad (Frozen, The Book of Mormon), an edgier up-and-coming star, in an unfiltered, behind-the-scenes look at a late night sketch comedy show where egos and generations collide. Rounding out the cast are series regulars Stephanie Weir, Matt Oberg and Megan Ferguson. The Comedians marks the Emmy Award winning Crystal's first regular starring role in a TV series since his performance as "Jodie Dallas" in the groundbreaking ABC comedy Soap, which ran from 1977-81. Larry Charles (Curb Your Enthusiasm, Seinfeld), Matt Nix (Burn Notice), and Ben Wexler (Community, Arrested Development) are Writers and Executive Producers of the project, along with Crystal. Charles directed the pilot. 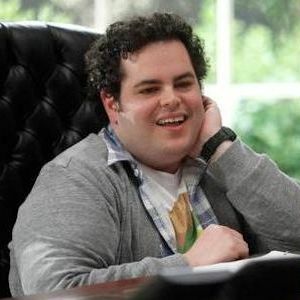 Josh Gad is serving as Producer. The half-hour, single-camera comedy is produced by Fox Television Studios. Production will begin this year and the series will air on FX in 2015. Stay with us for continued updates on this comedy and all the upcoming FX comedies, including the multi-camera sitcom starring Kelsey Grammer and Martin Lawrence. For the week of March 24-28, 2014, we have many current sitcom stars and past sitcom stars on TV talk shows! All times listed are Eastern. So get your DVRs (or whatever you use) ready! Ready? Here is all what you need to know for the coming week! Betty White (Hot in Cleveland/The Golden Girls/The Mary Tyler Moore Show) - Watch Betty on The Late Late Show with Craig Ferguson at 12:37am on CBS. Bryan Cranston (Malcolm in the Middle) - Bryan is a guest on The Colbert Report at 11:30pm on Comedy Central. Jason Bateman (Arrested Development/The Hogan Family/It's Your Move) - Jason visits The Ellen DeGeneres Show, so check your local listings. Niecy Nash (The Soul Man/Reno 911!) - Niecy will be on The Dr. Oz Show, so check your local listings. Jaime King (Gary Unmarried/Kitchen Confidential) - Jaime appears on Access Hollywood Live, so check your local listings. George Lopez (Saint George/George Lopez) - George is a guest on Larry King Now at 2/5pm PT/ET on Ora.tv and Hulu. Jennifer Aniston (Friends) - Jennifer will be on Pop Sugar Now on TV Guide Network at 6pm and on the next day on their website at noon. Nick Offerman (Parks and Recreation) - Catch Nick on The Late Show with David Letterman at 11:35pm on CBS. Alyson Hannigan (How I Met Your Mother) - Alyson appears on Jimmy Kimmel Live! at 11:35pm on ABC. Jayma Mays (The Millers) - Jayma is part of the guest panel on Chelsea Lately on E! at 11pm. Rachael Harris (Surviving Jack/My Boys/Notes from the Underbelly) - Rachael visits Conan at 11pm on TBS. Zach Braff (Scrubs) - Zach stops by LIVE! with Kelly and Michael, so check your listings. Melissa McCarthy (Mike & Moly) - Melissa is a guest on a repeat of The Ellen DeGeneres Show, so check your local listings. Gillian Jacobs (Community) - Gillian joins the Chew Crew on ABC's The Chew at 1pm ET/12pm PT/CT. The Cast of Hot in Cleveland - Learn age defying secrets from the funny ladies of Hot in Cleveland on The Dr. Oz Show, so check your local listings. Mary Steenburgen (Ink) - Mary chats on The Talk on CBS at 2pm ET/1pm CT-PT. Bill Cosby (The Cosby Show/Cosby/The Bill Cosby Show) - Watch Bill on The Tonight Show Starring Jimmy Fallon at 11:34pm on NBC. Julia Louis-Dreyfus (Veep/The New Adventures of Old Christine/Seinfeld) - Julia drops by Jimmy Kimmel Live! at 11:35pm on ABC. Maz Jobrani (The Knights of Prosperity/Better Off Ted) - Maz visits The Late Late Show with Craig Ferguson at 12:37am on CBS. Cristin Milioti (How I Met Your Mother) - Cristin appears on Late Night with Seth Meyers at 12:36am on NBC. Margaret Cho (All-American Girl) - Margaret is part of the guest panel on a repeat of Chelsea Lately on E! at 11pm. Christopher Meloni (Surviving Jack/The Fanelli Boys) - Christopher stops by LIVE! with Kelly and Michael, so check your listings. He will also be on Access Hollywood Live, so check your local listings. The Cast of Hot in Cleveland - Valerie Bertinelli, Jane Leeves and Wendie Malick dish about the new season of Hot in Cleveland on TV Land on The Wendy Williams Show at 12am on BET or on your local stations. Niecy Nash (The Soul Man/Reno 911!) - Niecy fixes the audience's love lives…with mozzarella cheese on Rachael Ray, so check your local listings. Wanda Sykes (The New Adventures of Old Christine/Wanda at Large) - Wanda stops by to talk about her career and comedy specials on a repeat of Katie, so check your local listings. George Lopez (Saint George/George Lopez) - George will be on Crowd Goes Wild at 5pm on Fox Sports 1. He will also be on Good Day New York on WNYW-Fox5 in New York between 7-10am. He is a guest on SI Now. Finally, he appears on HuffPost Live at 10:30am. The Cast of Enlisted - The cast of Enlisted are guests on Larry King Now at 2/5pm PT/ET on Ora.tv and Hulu. James Van Der Beek (Friends with Better Lives/Don't Trust the B---- in Apartment 23) - James will be on HuffPostLive at 3:40pm. James Van Der Beek (Friends with Better Lives/Don't Trust the B---- in Apartment 23) - James visits Late Night with Seth Meyers at 12:36am on NBC. George Lopez (Saint George/George Lopez) - George dishes about his new FX sitcom Saint George on The Wendy Williams Show at 12am on BET or on your local stations. Christopher Meloni (Surviving Jack/The Fanelli Boys) - Christopher is a guest on Fox & Friends on Fox News Channel in the 7am hour. He will also be on Big Morning Buzz Live with Nick Lachey on VH1 at 10am. He is a guest on Good Day New York on WNYW-Fox5 in New York between 7-10am. Mindy Kaling (The Mindy Project/The Office) - Mindy talks about The Mindy Project on NBC's Today between 7-9am. Jaime King (Gary Unmarried/Kitchen Confidential) - Jaime is a guest on Pop Sugar Now on TV Guide Network at 6pm and on the next day on their website at noon. Marilu Henner (Taxi/Evening Shade) - Marilu talks about her appearances on Brooklyn Nine Nine and playing Robin Williams' ex-wife in The Crazy Ones on The Couch on WLNY 10/55 in New York between 7-9am. Josh Radnor (How I Met Your Mother) - Watch Josh on a repeat of The Late Late Show with Craig Ferguson at 12:37am on CBS. Don Cheadle (The Golden Palace) - Don is a guest on a repeat of Jimmy Kimmel Live! at 11:35pm on ABC. James Van Der Beek (Friends with Better Lives/Don't Trust the B---- in Apartment 23) - James appears on LIVE! with Kelly and Michael, so check your listings. Kristin Chenoweth (Kristin) - Kristin guest co-hosts LIVE! with Kelly and Michael, so check your listings. The Cast of Kirstie - Kirstie Alley, Rhea Perlman and Michael Richards take us behind-the-scenes on their show and what it's like to work together on a repeat of Katie, so check your local listings. Alexis Carra (Mixology) - Alexis is a guest on The Better Show, so check your local listings. Margaret Cho (All-American Girl) - Margaret will be on Pop Sugar Now on TV Guide Network at 6pm and on the next day on their website at noon.